In 2012, a study by the American Diabetes Association estimated that the total cost of diabetes diagnoses to be $245 billion, of that $179 was in direct medical costs. According to the ADA, 9.3% of Americans have diabetes and among those 65 and older, that number is even higher at 25.9%, or 11.8 million. Patients diagnosed with diabetes account for 1 out of every 5 dollars spent on health care, with more than half of those expenditures directly related to treating the disease itself. Teaching diabetes patients how to effectively manage their condition, while simultaneously training providers on how to instill these techniques in their patients is a crucial step on the road towards reduced health care costs and healthier populations. DECIDE is the only self-paced, literacy adapted diabetes self-management program for adults that aims to improve both the patient experience and quality of care. Developed through intensive research with patients suffering from multiple chronic conditions in clinical and community settings, DECIDE trains patients in problem-solving techniques that are used to improve health behaviors. Concurrently, the Training Workshop teaches health care providers how to instruct their patients across a range of clinical and community settings. The program provides numerous beneficial outcomes, including positive effects on CVD markers and A1C levels, in addition to improving self-management behaviors. DECIDE is suitable for use across multiple formats; either group or individual settings, or in a self-paced format without regular in-person visits. A web-based platform is also in development to assist these self-paced sessions, with planned support for desktop and mobile devices. Learn more about DECIDE (Decision-making Education for Choices In Diabetes Everyday). 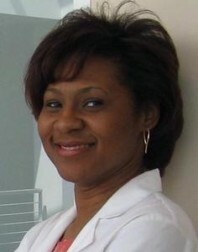 Felicia Hill-Briggs, PhD, is a Professor of Medicine in the Division of General Internal Medicine at the Johns Hopkins University School of Medicine. Her research focuses on diabetes self-management, behavioral intervention, health disparities, neuropsychology, and functional impairment and disability. 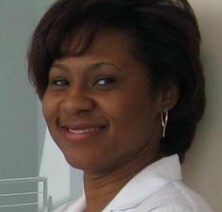 Dr. Hill-Briggs is an expert and national leader in diabetes and patient self-management. Her research, has won scientific awards, and has received Telly Awards for patient education and wellness.